Preheat oven to 200ºC (350ºF). Cut 4 strips measuring 2cm wide from the edges of the pastry sheet. Place the pastry sheet on a baking try lined with baking paper. Lay the cut strips around the edges of the pastry sheet to form a border and brush with egg. Place potato, fennel, thyme, garlic and olive oil in a bowl and toss to combine. Brush the pastry base with horseradish cream and layer the potato mixture on top. Sprinkle with parmesan and bake for 20-15 minutes or until golden. 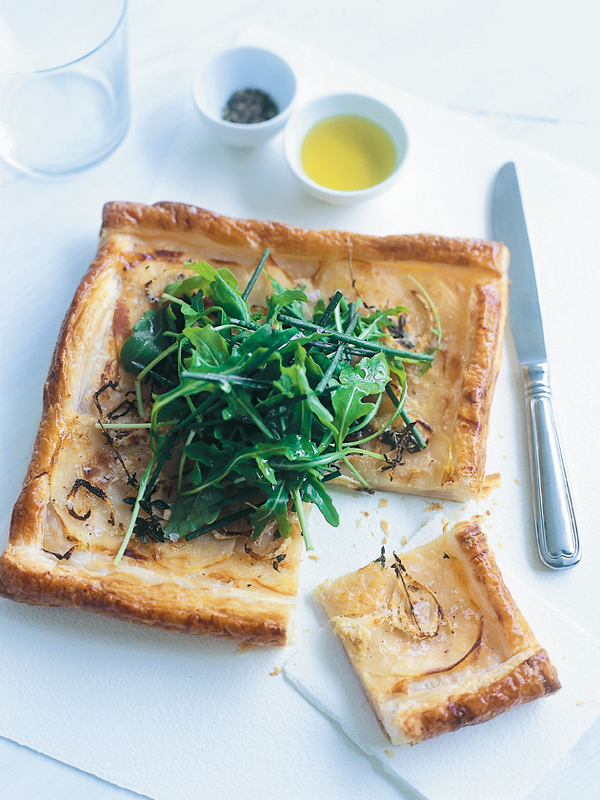 Top with rocket, chives and a drizzle of olive oil to serve.